For all the fans of Dhoom franchise, here is the first in the series, action packed, thriller Dhoom:3 The Game. 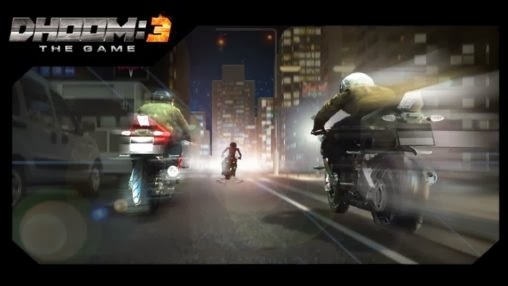 Don the cape of the Dhoom:3 movie anti-hero and zoom through the streets of Chicago on your Super Bike as you evade ACP Jai Dixit, Ali and the Cops. 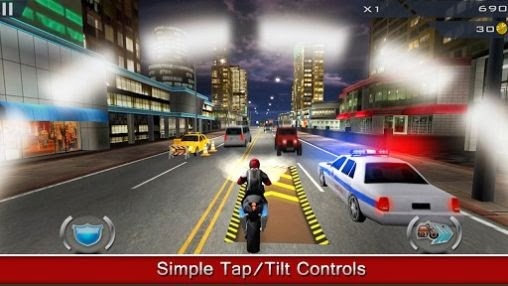 With simple Tilt and Tap controls, enjoy hours of fun filled action in this 3D endless racing game. The Cops are out in full force & there's just one way out! 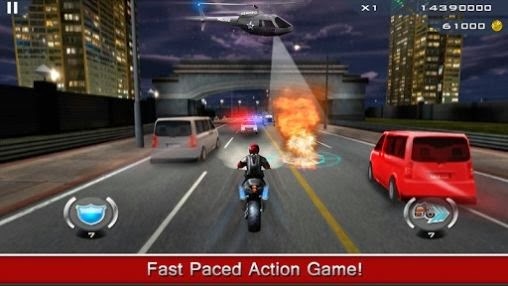 Ride hard and fast through the streets on your Super Bike battling heavy traffic, cops, pursuit helicopters and more! Use the Nitro power-up to reach extreme speeds and leave everybody in your trail! Trouble ahead? Blow away everything in your path with the Sonic Pulse & keep the Chase up! *State-of-the-Art Graphics for an awesome gameplay experience on Android Smartphones and Tablets! *Race up the Leaderboards and show everyone you are the master of your destiny!